About Aloha Termite Kauai, Inc.
Aloha Pest Solutions is a board member of the Hawaii Pest Control Association (HPCA) and wholeheartedly adheres to the HPCA"s Code of Professional Ethics in all we do. OUR CUSTOMERS – OUR OHANA! 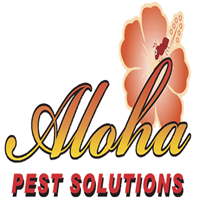 Aloha Pest Solutions has been serving our islands" people since 2007. Our sister company – Aloha Termite – was founded on Oahu in 1999 on the ideal that Hawaii"s people deserve the best in pest control services. It is this ideal – the best in pest control services – that Aloha Pest Solutions continue to endorse today. In keeping with our high-quality standards and services, we offer no hidden agendas or quick-fix gimmicks. Instead, we offer the Service with Aloha that you deserve. WE ARE HERE TO HELP PROTECT YOUR PROPERTY. We know that your home, business, or other structure is one of your most valuable investments. We also know there are a number of local pest control companies for you to choose from when insect infestations become a concern. Selecting the right pest control company for you and your needs may be a daunting task. As such, we welcome you to shop around. Do your homework and get several free, no-obligation estimates from the companies you believe might best fulfill your needs and do a good job. We hope we will be one of those companies you contact. Aloha Pest Solutions values your business as much as we value the communities we serve. After all, we don"t just serve our communities; we live in them and are a part of them! What people say about Aloha Termite Kauai, Inc.